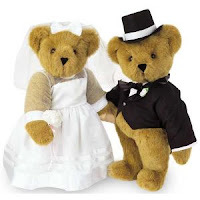 When a man and a woman decide to have a wedding, one of the common questions that may bring about some argument is the amount to dedicate to the wedding. For men and women alike the question evokes a lot of emotions. But the answer depends on a lot of factors such as the financial capabilities of the bride and the groom, the expectations of the parents, the spiritual beliefs of the couple and many more. For some men, they can't bear to spend so much money on just an occasion while for some women are ready to spend so much because it is a once in a lifetime event. My advice is this and I think it is the foundation to build on. Each couple should ensure that they do not get into debt because of the wedding. And do ensure that you have money to take care of yourselves after the wedding ceremony. Please also save towards your wedding. Do not expect that your every wish should be catered for by your families. You should be prepared to shell out the funds required for all the wedding activities.